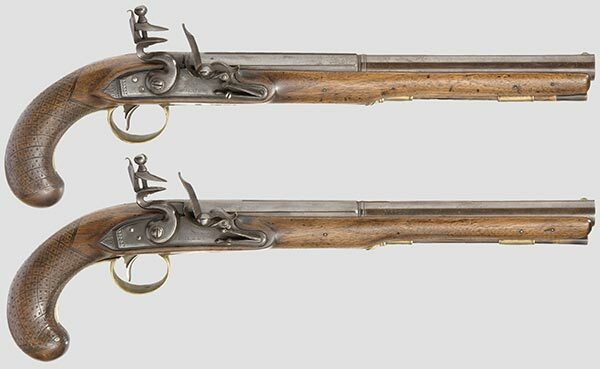 Pair of flintlock of Joseph Gulley, London about 1810. Octagonal barrel, then round after a baluster. On the upper surface, on the left the punches of tests. Simple lock with decoration minimum. Ramrod in drowning with brass trimming. Length 41 cm. Joseph Gulley (1798 - 1831) domiciled in London in Oxford Street 254.